Trans-Siberian Express Westbound – The Great Canadian Travel Co. 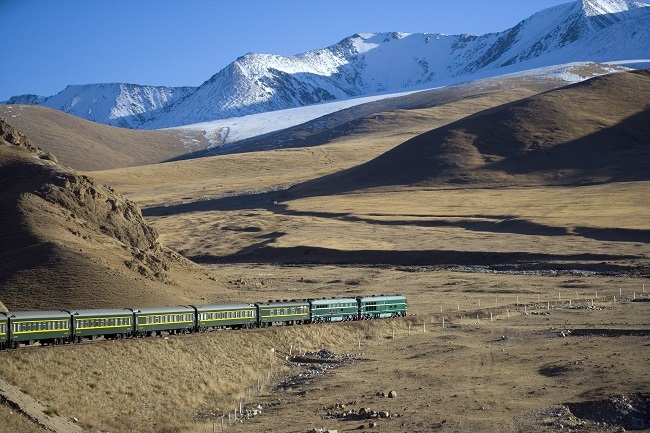 Undoubtedly the world’s greatest railway journey, the Trans-Siberian Railway Westbound runs from Vladivostock through eight time zones, over 6,000 miles (one-third of the way around the world) to Moscow. You’ll travel along the shores of the world’s largest freshwater lake, across magnificent Russian steppes and over the Urals. 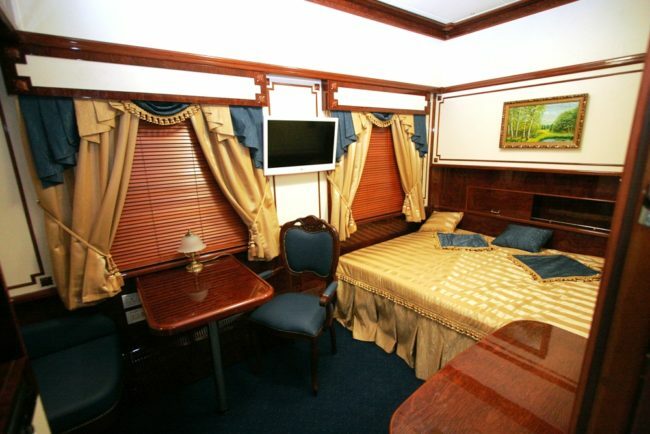 Arrive at Vladivostok Airport, where you will be met and transferred to the centrally located four-star Hotel Hyundai. We will enjoy a welcome reception dinner at our hotel, giving you the opportunity to meet with your fellow travellers and anticipate the epic 15-day voyage that lies ahead. Located 15 miles (25 kilometers) from the border with China, Khabarovsk stretches along the banks of the Amur River. Khabarovsk was founded as a military post in 1858, but the region had been populated by several indigenous peoples of the Far East for many centuries. It is now a busy city with tree-lined streets. We’ll visit the memorial to Yerofey Pavlovich Khabarov, the Far East explorer the city is named after, and the impressive World War Two memorial to the fallen soldiers. We will also have time at the Regional Museum where the local history has been well-preserved with a rich collection of artifacts describing the cultural and natural history of the region. 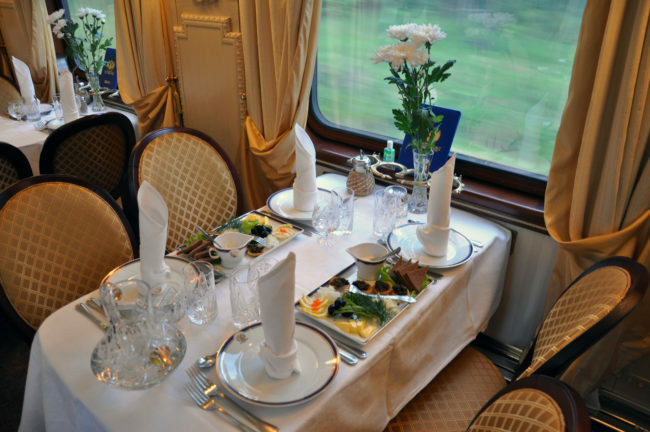 The relaxing days on board the train offer the perfect opportunity to practice your improving Russian or watch a DVD as you watch the world pass by. For those who like to socialize, the Bar Lounge Car is the perfect place to enjoy a chat with your fellow passengers as you listen to our resident musician. We start the tour at Gandan Monastery, one of Mongolia’s most important Buddhist Monasteries housing a community of over 500 monks. The full name, Gandantegchinlen, translates as ‘the great place of complete joy’. At Sukhbaatar Square we can see the central monument to Genghis Khan, undoubtedly the most feared and revered Mongol. 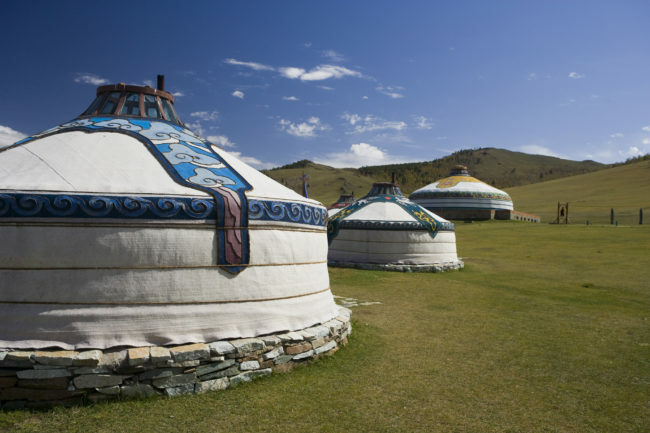 We then drive out of the city to Gorkhi-Terelj National Park and enjoy the beautiful scenery of wild Mongolia, having the opportunity to visit a traditional Ger and meet a nomadic family or try our hand at horse-riding, an intrinsic part of Mongolian life. Alternatively there is an option to stay in the city as part of our Freedom of Choicetouring. After Gandan Monastery and Sukhbaatar Square we visit the National Museum where we learn about the country’s intriguing history. We’ll also see Bogd Khan Winter Palace Museum, the winter residences of Bogd Khan, the last Mongolian emperor, built between 1893 and 1903. We can also explore the city and have some free time for shopping for Mongolian souvenirs, and their speciality cashmere. Included in our time spent in Moscow is one night at the five-star Marriott Royal Aurora, or similar. Located in Moscow city center, and within walking distance of Red Square and the Bolshoi Theatre, this luxury hotel offers spacious accommodation with butler service for each guest room – the only hotel in Moscow to offer this fine service.